Nate Koechley — "The YUI CSS Foundation"
Nate Koechley, Senior YUI engineer guides you through the CSS foundation in this interesting 42 minute video. See all Flex 3 components. Prototype, JQuery and ExtJS are the top 3 AJAX frameworks used in 2007 based on a survey conducted by Ajaxian. Interestingly 42.5% of the respondents also used one of these frameworks, toolkits and libraries to design proof-of-concepts and prototypes. Aptana IDE also supports Adobe AIR. Adobe is targeting users with “occassionally (dis? )connected devices” like Laptops, Mobile Phones, IPTVs et all with Flex, AIR , Flash Lite etc., to enable Rich Internet Applications. The most interesting thing that appealed to me was in the “mobile” stall. The demo was for a mobile application ( in swf format) designed to make the voting experience a lot more “rich” for the popular “Indian Idol” program and apart from cool voting experience, users can also easily browse through the contestant pages, see videos et all. In CS4 beta, the whole process gets to be simplified whereing swf files get directly generated, without having use build.bat et all. What became evident was that SAP and Oracle have already started experimenting with Flex, Flashlight and Adobe Integrated Runtime (AIR) in some of their Enterprize Applications to enable Rich Internet User Experience. 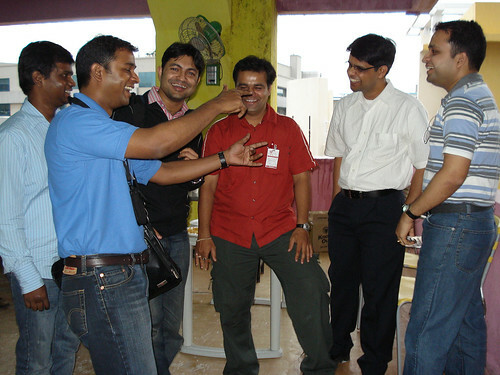 Met up UX folks like Durga Prasad and Auro from SAP, Sudhindra from Human Factors, Param from Onward Consulting, Adesh from Oracle et all. Guess the time is right to get into the “Mobile UX ” space. 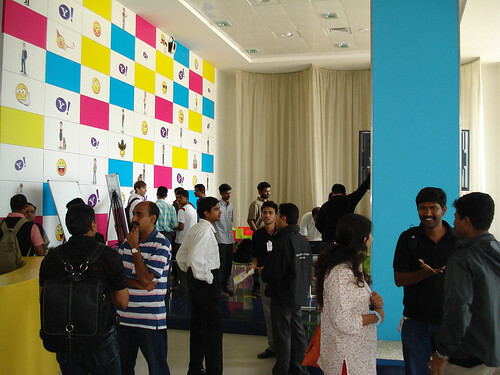 Adobe’s “RIA Leadership Summit 2007″ is happening on Oct 25 in Bangalore. Mr. Shantanu Narayen, President and Chief Operating Officer, Adobe Systems Inc., will speak on the emerging trends in RIA technologies and how Adobe is helping create the web of the future. Looking forward to get some insights into Flex and Adobe Integrated Runtime (AIR). 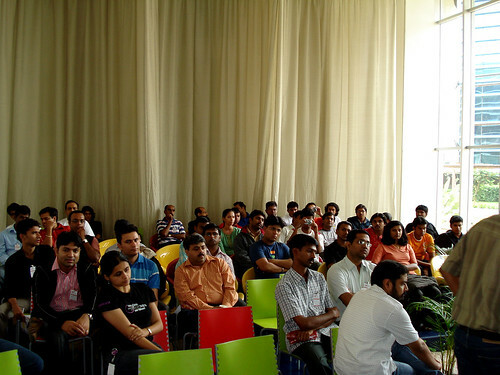 dCamp Bangalore V 1.0 rocked! 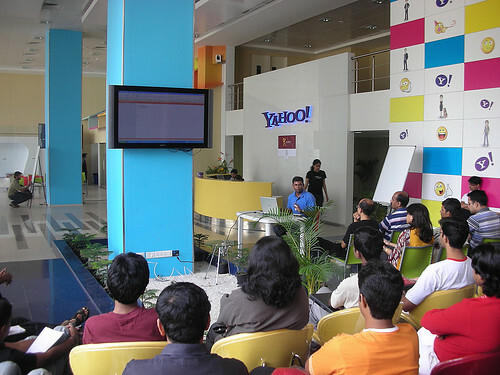 The first ever design unconference in India, dCamp Bangalore witnessed participation from an interesting mix of designers, developers, product managers etc., Over 75 campers and 10 speakers participated at Yahoo’s campus, yesterday. 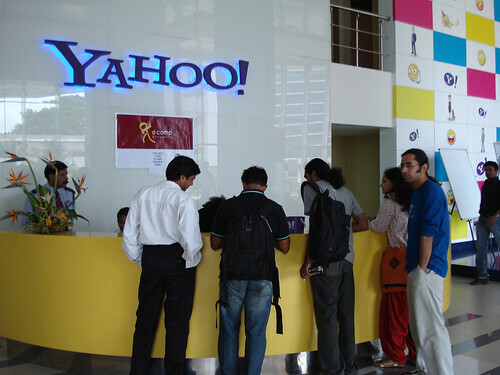 The good folks from Yahoo Bangalore sponsored the event and made arrangement for t-shirts, lunch and Beer! 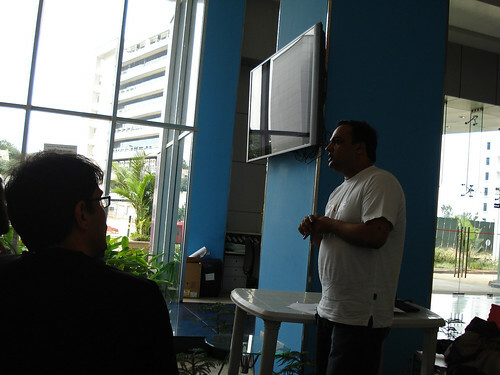 Read Saurabh Minni’s detailed blog post. dCampers sharing a lighter moment! 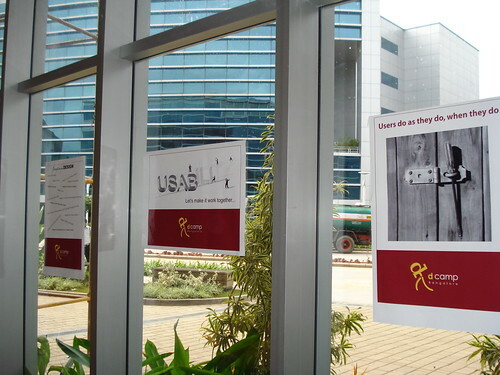 bridging the gap between design & developement. 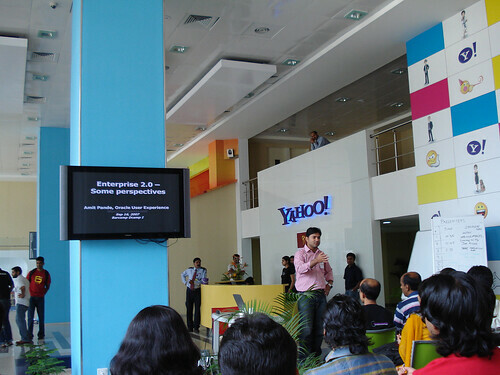 championing Enterprise 2.0 in their organizations.